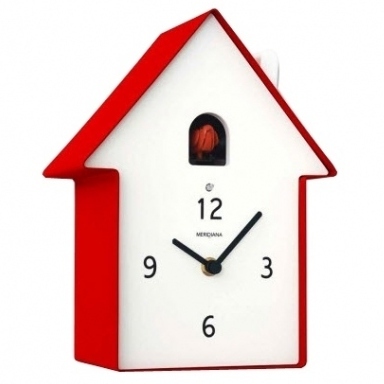 Trendy cucu clock made by Meridiana. Quarts movement with electronic sound of bird. model nr.220 red. h x b d 25 x 20 x9 cm.